Another easy to make condiment. 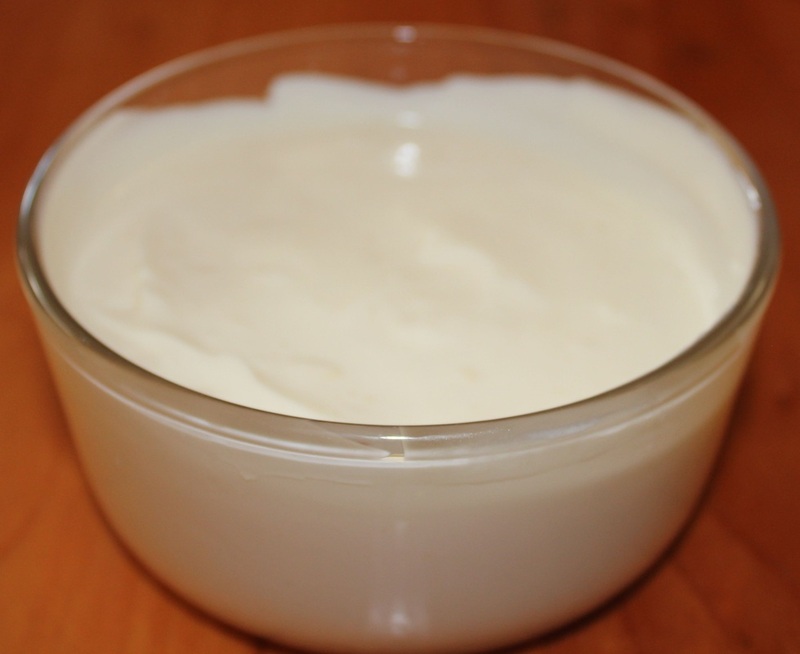 Use this homemade mayonnaise in dips, salad dressings and as a spread for sandwiches. Store any leftovers in the refrigerator for up to 5 days. In a medium size bowl using a wire whisk beat egg and vinegar until well beaten. Add a few drops (no more than 1/4 teaspoon) of oil at a time to the egg mixture. Whisk well before adding the next drops of oil. After you have added about 2 tablespoons of the oil pour the mixture into a blender. Make sure to place the cover on the blender. Set the blender on high. Add salt to taste. It really doesn't need more than a pinch of salt. Place mayonnaise in a clean and sanitized jar with a tight fitting top. This is made with raw egg do not leave it out at room temperature.